Welcome back Really Reasonable Ribbon bloggers and this will be my last card for Really Reasonable Ribbon blog and challenges at this time. I have a grandson born in May and I will be babysitting him from now on while my daughter returns back to work. Therefore, I will be spending most of my time with him and very little time for awhile in my craft room until he gets about 6 months older and beginning to take good naps since now he only takes baby power naps during the day, anywhere from 10 minutes up to 40 minutes. I want to thank Bonnie and the wonderful designers on this team for their fantastic support and I learned so much from all of you and thoroughly enjoyed our discussions. I regret leaving since I loved everything about what we did along with the super great customer service, support and care from Bonnie and the team. It was also great working with gorgeous ribbon and flowers from the Really Reasonable Ribbon store. I recommend RRR to anyone who loves working with ribbon and looking to be on a design team, this is a number one place to be. Also, the bloggers who put their cards on the blogs or made a comment on my cards, I want to especially thank you for all that you do. Also, on the Really Reasonable Ribbon Blog, a exciting challenge is going on right now with ribbon or trim besides see daily designers' cards and projects using Really Reasonable Ribbon variety of gorgeous ribbons for all of your projects and cards. 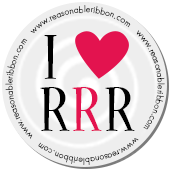 Come join the fun and post your card on the Really Reasonable Ribbon Challenge and you might become one of the next winners. Also, come visit us on Really Reasonable Ribbon Facebook but definitely check out the Really Reasonable Ribbon Store to get those fall, Thanksgiving and Christmas projects and cards done ahead of time. Congrats on your new Grandbaby and so sorry you will not be posting these gorgeous cards. This is sooooo beautiful - WOW! It will be special to have that bonding though and I'm sure you will love every moment, except when you have to change THOSE diapers, hehe. You will be missed. Awwwww Nancy your card is absolutely Beautiful hun!!!! We surely are going to miss your posts, and you!!! But I completely understand, you will have your hands full, and enjoy that little one!! !